I read loads of blogs, covering many different subjects. Most of them are chilli related or cover gardening in general. One blog I go back to time after time is The Forget-me-Not Cultivation Blog written by a lady called Sophie Cussen. This lady really knows her stuff around the garden, and her blog is very well written, very informative and contains just enough humour to make it an enjoyable read. So I was over the moon when Sophie agreed to write an article for my blog, have a read through and I hope you enjoy it….. and please make time to have a read of her blog The Forget-me-Not Cultivation Blog I’m sure you won’t be disappointed. Where are all the female chilli growers? I am a huge fan of Iggy’s blog and was really rather chuffed when he asked me to write a post for his blog. So as I pondered about what I’d write a thought came to me – why do men mostly grow chillies? No, don’t worry this isn’t going to be any sort of feminist rant. I’m just really curious to see how of all the plant types that can be grown in the world the chilli plant is most noticeably grown by men. Is this because chillies = hot = eating the hottest food imaginable? Or is i just that chillies are a ‘cool’ plant to grow in the garden? Undoubtedly if chillies represented grooming products they would be the shaving foam of the shelf. Stood there all red and green, showing full strength and vitality! Chillies, having a variety of heat strengths mean there is always room for a little competition with a grower always looking to create the next heat level. 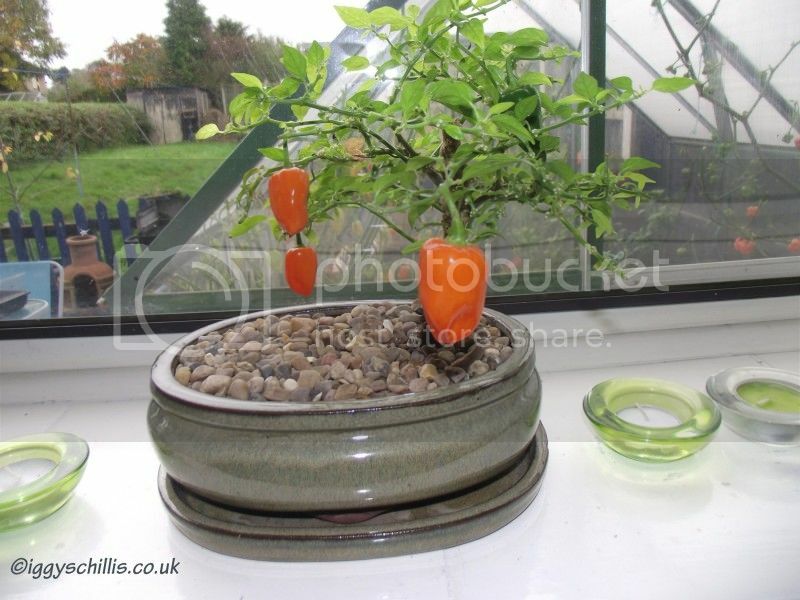 Maybe the attraction is that unlike other plants chillies can be grown indoors, or hydroponically meaning gadgets and technical DIY projects galore. It’s all appears rather very manly-esk and challenging, and in some cases quite competitive (looking at some of the chilli testers on YouTube). This is probably one of the reasons I like chillies myself, it’s not the normal placid flower or safe herb. It’s a plant that says grow me if you can and then just try and see what happens when you eat me! Even in the media chillies, and food with chillies in have been predominantly eaten by men. Look at Scooby Doo and Shaggy. They can eat their body weight in chillies and still come back for seconds. I don’t think Daphne ever touches a chilli – ever! So do you need to be a man to grow chillies? No, I think not. I’ve been growing chillies for about four years now. I dabbled in growing sweet peppers before that and to be quite honest I didn’t even like hot food. Every time I had a curry I’d opt for a standard korma and as for chilli con-carne, well I used to avoid it like the plague. Now, four years later not only would I eat a hot curry every night if I could but I actively cook with chillies and pour hot sauce over everything from boiled potatoes to vegetable stew. While the strength of the heat plays some part, any chilli connoisseur will tell you it’s as much about the flavour of the chilli and the source as it is about the heat. Sure watching people eat hot chillies is rather amusing, especially when these big tough, muscle bound guys stand there declaring that they don’t even need milk on standby before taking a huge chunk of a Ghost chilli are found to be quite meek and mild within five minutes and crying out in pain in another ten minutes (you mean you haven’t seen this video? It’s hilarious). So to anyone (not just women) thinking of having a go growing chillies I’d say go for it. They are no more difficult than growing tomatoes or dahlias from seed. Like fuchsias there are literally hundreds of varieties to grow ranging from the very small compact plants like the prairie fire to the rather large like the tabasco. All pods can be used in cooking, stored and preserved and I have to say some of the plants grow flowers that are really very pretty in their own right. One other thing to remember about chilli growing. I’ve found growers to be the most helpful, most informative guys around. If I need to know what I should feed, when I should feed, what to do with dropping flowers, or what varieties to grow the community (of which there is a very large crowd) help me every time. Iggy’s blog is very much a casing point. ← Quadgrow To Wilma Conversion……. Hello and thank you for a great read from an “L” plate chilli grower. I have enjoyed growing chillies for a few years, but yep I can say have had the ups and downs of getting to know how it all works. I am having a bit of success this time around, got some different types to come up from seed like Bhut jolokia X Pimenta De Neyde and they are looking pretty cool so far. Will certainly keep looking here for ideas and tips for sure. Especially is there a specific way for when to fertilize them, or how long between fertilisation?